Tintern Fetes have a long history and were revived for the 2012 Diamond Jubilee celebrations. 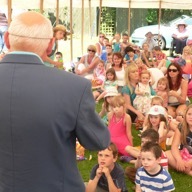 They have taken place each year since and have grown to become firmly established as a fixture in the Wye Valley summer calendar for village residents and the many visitors who flock to here to see the fete take place in the shadow of Tintern Abbey. Tintern Fete offers a magical mixture of children's attractions, day-long live music and singing, hot food, a bar, and a host of interesting stalls. 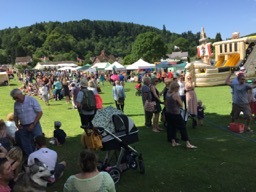 For the latest news on what's happening at Tintern Fete, including opportunities for stallholders and food providers, please click here.